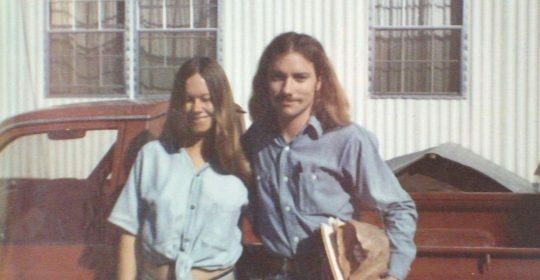 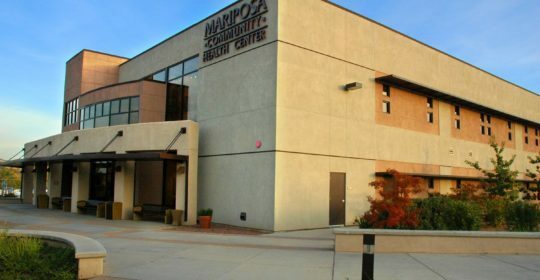 Mariposa Community Health Center: Delivering Community-Based Health Services to Santa Cruz County Residents for 25 years!! 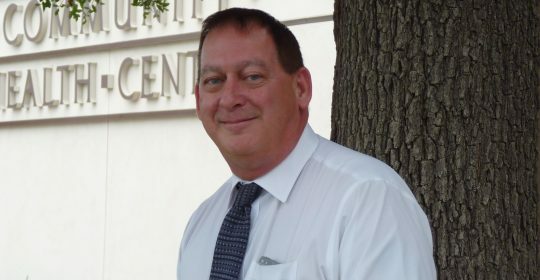 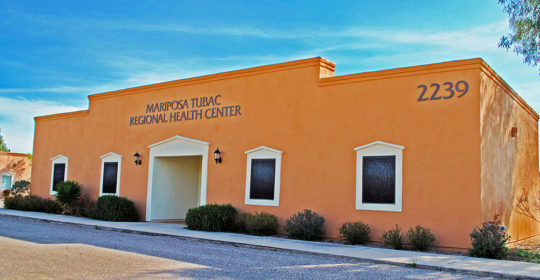 Mariposa’s Tubac Regional Health Center to open late February! 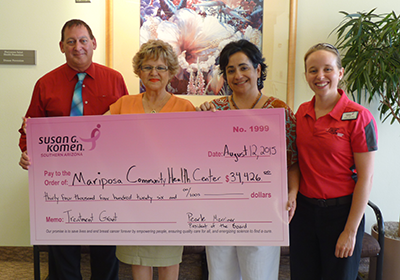 Mariposa Community Health Center was awarded $34,426 from the Susan G. Komen Foundation to support Mariposa’s Juntos Contra el Cancer Program (Together Against Cancer). 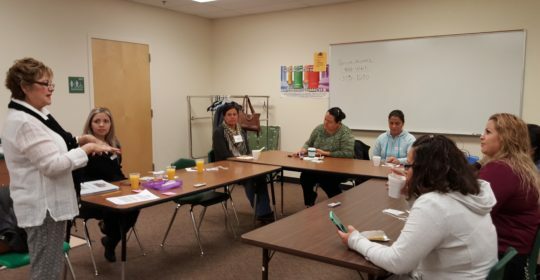 Juntos Contra el Cancer has provided breast health promotion, breast health services, mammography, diagnostic testing and support services for breast cancer survivors targeting medically under-served women since its inception in 1994. 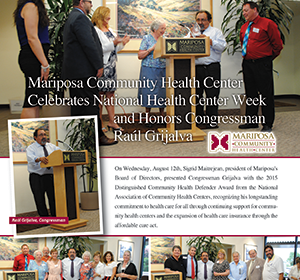 Mariposa Celebrates National Health Center Week!